The FACT Network Summer Meeting is being held June 21-22, 2018 at Pine Jog Environmental Education Center in West Palm Beach, FL. Come discuss data and learn the current research from the FACT Network. SECOORA’s Annual meeting brought together coastal ocean scientists from around the Southeast to Charleston, South Carolina on May 22-24. The theme of SECOORA’s meeting was the Blue Economy. The Blue Economy encompasses ocean and coastal dependent activities such as maritime transportation, tourism, fisheries, energy development, and more. Three panels discussed different aspects of the Blue Economy – offshore resources, fisheries management, and local South Carolina perspectives on economic opportunities. Click here to read the highlight story. The Nature’s Conservancy South Atlantic Bight Marine Assessment (SABMA) has been published online. The assessment is a data collection and analysis initiative designed to improve understanding of the regional distribution of key habitats and species. More information is available on the Nature Conservancy website. Access the full PDF here. How do resiliency efforts reduce risks and what ocean data supports those efforts? Join us for a discussion in Charleston, SC on how extreme events impact the blue economy - including businesses, communities and marine life. Charleston Mayor John Tecklenburg will open the forum with a few remarks on the city’s resiliency efforts. When: Wednesday - May 23, 2018 | 6:30 PM – 7:45 PM Where: Hyatt Place + Hyatt House Charleston / Historic District (560 King Street, Charleston, SC 29403) Register: Click here to register. Light refreshments will be provided. Reserve your spot for the next SECOORA Webinar "Passive acoustic monitoring on a SV3 Wave Glider for fish spawning aggregation detection and characterization". Laurent Cherubin from FAU's Harbor Branch Oceanographic Institute will discuss a novel, autonomous approach to conduct fishery independent surveys in order to search and discover unreported aggregations by mapping the underwater acoustic landscape using an unmanned platform in areas that surround currently known spawning aggregations during the spawning season. Reserve your spot now! The Fiscal Year (FY) 2018 Omnibus Appropriations Act was passed by Congress on March 22, 2018. 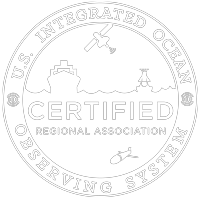 It included support for many ocean and coastal programs including the Integrated Ocean Observing System (IOOS®). IOOS regional systems were allocated $35 million, an increase of $4.3 million from FY 17. This support will allow the eleven IOOS regional observing system to fill critical gaps in the High-Frequency (HF) Radar network and underwater glider observatory. A new wave buoy was deployed by the U.S. Army Corps of Engineers on April 1, approximately 30 miles east of Key West, Florida. This buoy will report local wave conditions such as wave height, wave period, wave direction, surface current and temperature every 30 minutes. Access the buoy data on the SECOORA Marine Weather Portal ! Southeast Ocean and Coastal Acidification Network (SOCAN) just sent out their March newsletter. Learn about a new OA monitoring station in Tampa Bay and more. Read it here! SECOORA is pleased to announce that two new members joined our organization – the Ocean Tracking Network and Coastal Studies Institute. SECOORA members influence and guide all our endeavors to help make us a trusted source for coastal ocean information in the southeast.